I am afraid I do not remember much about creating this castle either, but I like the design of the three towers in the middle, patting myself on the back for that. 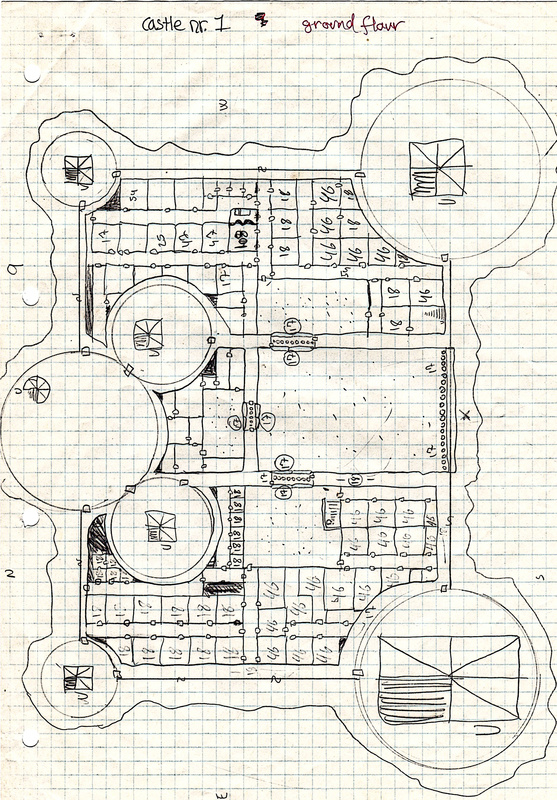 I have two more upper floors as well as a brainmelt of a prison dungeon. The prison dungeon could be fun to hand out just to see the players faint in despair. I am not sure I ever used the map, but I did have a fondness for creating dungeon/castle maps even if I never needed them for a period. I just enjoyed drawing maps and inventing new stuff. Back then I did everything by hand which has it’s own satisfaction and it’s never quite the same on the computer. How would you use this Castle? 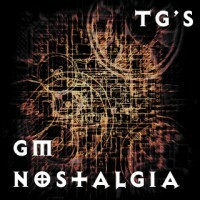 This is part of my GM Nostalgia series.